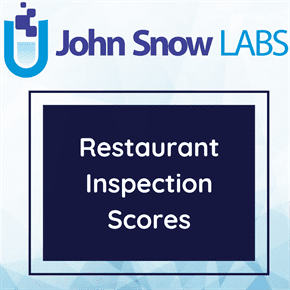 This dataset provides the food hygiene rating or inspection result given to a business and reflects the standards of food hygiene found on the date of inspection or visit by the local authority. Businesses include restaurants, pubs, cafés, takeaways, hotels and other places consumers eat, as well as supermarkets. The data is held on behalf of local authorities participating in the Food Standards Agency’s National Food Hygiene Rating Scheme (FHRS) in England, Northern Ireland and Wales. The food hygiene rating reflects the hygiene standards found at the time the business is inspected by a food safety officer. These officers are specially trained to assess food hygiene standards. Each of these three elements is essential for making sure that food hygiene standards meet requirements and the food served or sold to customers is safe to eat.